The need for dental treatments may not always be on schedule, as there are times when unexpected dental problems occur. 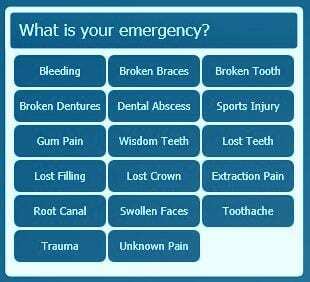 Emergency dental treatment and advice by the dentist at Woodbury Dental and Laser Clinic in Kent is necessary to address concerns that result from injuries or accidents, which may involve the teeth, gums, and the whole mouth area; these are the times when prompt dental care is needed, to ensure that the dental problem does not have a chance to worsen, and to provide relief from the pain and discomfort that the injury or accident can result to. Toothache or Tooth Pain – An aching tooth can be very uncomfortable, and should be evaluated by the dentist at Woodbury Dental and Laser Clinic in Kent to determine its cause (and to ascertain the appropriate dental treatment needed). Toothache may be caused by food lodged between teeth and the gums, so proper tooth brushing may help in clearing away the food debris that is causing the discomfort. The use of dental floss may also be beneficial in removing the food bits that are causing the toothache. Rinsing the mouth with an anti-bacterial mouth wash, or even warm water with salt, can also alleviate the pain caused by bacteria or an infection. It is best to go to the dentist at Woodbury Dental and Laser Clinic in Kent in the soonest possible time for toothache relief, to get an effective dental treatment with lasting results. Lost Dental Filling – Dental fillings that are lost can result to extreme discomfort, especially if the hole or cavity left on the tooth is a big one. The cavity can be temporarily plugged with the use of dental cement (if available), or with sugar-free gum in the meantime – on the way to see the dentist at Woodbury Dental and Laser Clinic in Kent a to get a more permanent solution to this problem. 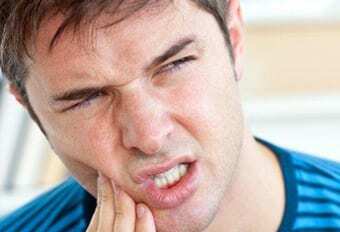 Knocked-Out Tooth – A knocked-out tooth may be the result of an accident (such as tripping or falling down and hitting the face/mouth area), or an injury (accidents, or sport-related). If the tooth that has been knocked out is still intact, there is a chance that it can still be re-inserted into the tooth socket – so it is important to get to the dentist at Woodbury Dental and Laser Clinic in Kent in the soonest possible time. The root part of the knocked-out tooth should not be touched, and should be kept clean by rinsing with clean water; if possible, the tooth can temporarily and lightly be re-inserted into the tooth socket on the way to the dentist’s clinic. The knocked-out tooth can also be placed in a container that has water with a small amount of salt, or a container that has milk. Keep in mind that the sooner the knocked-out tooth problem is seen by the dentist at Woodbury Dental and Laser Clinic in Kent, the greater the possibility is for successful re-insertion – so it is essential to get to the dentist after having a knocked-out tooth as soon as possible! Broken or Fractured Tooth – A broken tooth can result from direct trauma to the face or mouth area, and may cause swelling in the gums (or in the soft tissues inside the mouth). Make sure that all the fragments of the broken tooth are removed from inside the mouth, to prevent further injuries to the soft inner mouth tissues. A warm compress placed on the area affected by the broken tooth can relieve pain and swelling, while rinsing the mouth with warm water (with a pinch of salt, if available) can clean the mouth of any smaller tooth parts. Seek emergency dental treatment from the dentist at Woodbury Dental and Laser Clinic in Kent in the soonest possible time, so that the extent of the damage by the broken tooth can be determined – and the appropriate treatment will be given. Bitten or Cut Tongue, Lip, or Inner Cheek – A cut or bitten tongue, lip, or inner cheek can be caused by accidents, or direct trauma to these parts. The area can be cleaned with warm water; if the cut or wound is extensive, the bleeding can be stopped by placing a clean piece of gauze in the affected area. The patient should immediately be brought to the dentist at Woodbury Dental and Laser Clinic in Kent, especially if the amount of bleeding does not stop or decrease even after putting a gauze pad in the area. Jaw Injury/Broken Jaw – Injury to the jaw area can be caused by an accident, by engaging in a contact sport (such as basketball or boxing), or if direct force is applied to the area. Cold compress can be placed in the area that has been injured to help reduce the pain and swelling. The patient should see dentist the dentist at Woodbury Dental and Laser Clinic in Kent immediately afterwards, so that the injury may be checked and prevented from further worsening.